Though it’s commendable that many people are attempting to eat less processed, more natural and wholesome foods, there are certain cases when this isn’t the best option. A recent outbreak of campylobacter bacterial infections on the east coast reinforces the Center for Disease Control’s (CDC) recommendations to stay away from raw milk. The 38 illnesses were linked to a raw milk dairy farm in Pennsylvania, which has temporarily suspended sales. The CDC warns that milk provides a good environment for bacteria and other germs to grow. Since cows defecate near where milk is produced, there is a high risk that bacteria will end up in the product. Pasteurization doesn’t kill all of the germs in milk, but it does kill the disease-causing ones, which is why consumers are at very low risk of becoming ill from drinking pasteurized milk. 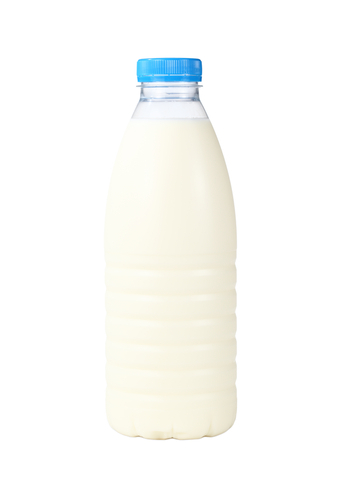 Since the production of raw milk does not take this step to ensure food safety, the campylobacter bacteria will remain present in the product when it’s sold. You cannot usually smell or see the difference in contaminated raw milk, so there’s no way of knowing you’re in danger. Proponents of raw milk state that this unprocessed (unpasteurized) variety contains more nutrients than regular, pasteurized milk. The reality is that pasteurization- the process of healing milk to 161 degrees Fahrenheit for about 20 seconds to kill disease-causing germs, does not significantly change the nutritional value of milk. Heat may slightly decrease some of the vitamins such as thiamin, vitamin B12 and vitamin C, though milk isn’t a great source of these vitamins anyway. You’re better off getting these nutrients from fruits, vegetables, and lean meat. The main nutrients in milk including protein, carbohydrate, and protein, are not affected by pasteurization. If you are pregnant you should avoid all unpasteurized dairy products. For those who aren’t pregnant, avoiding raw milk is still recommended as the bacteria it may contain can affect anyone- even if their immune system isn’t compromised. If animal’s rights are a priority for you, than organic milk is certainly a better option than consuming raw milk. Bottom line: Regular milk is just as healthy and going raw is certainly not worth the risk.